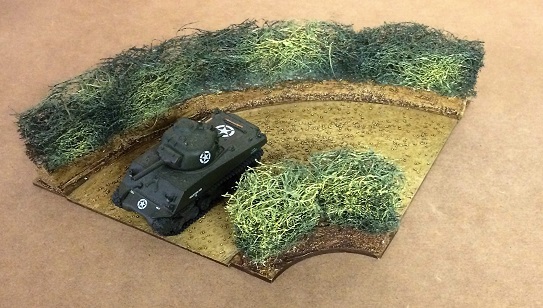 Hoka Hey's Large Road Corner Set - Bocage. 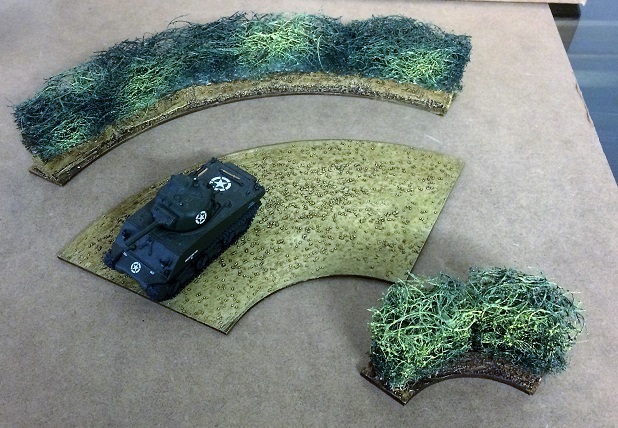 Designed for 20-28 mm Wargaming. Pieces can be interchanged with other Road Corner Sets. One piece of outer Bocage and One inner piece. All packs in a clear plastic A5 box. See other sets for combinations. NB Tank shown is 20mm scale -not included in set.